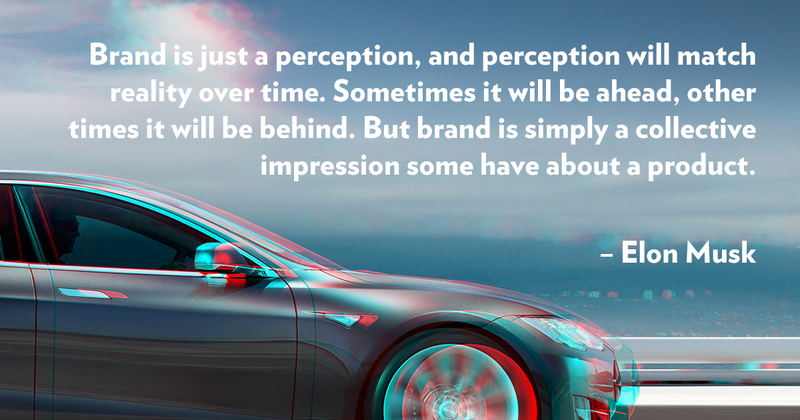 The Quote: Brand is just a perception, and perception will match reality over time. Sometimes it will be ahead, other times it will be behind. But brand is simply a collective impression some have about a product. Who Are They: He is an entrepreneur who believes in reducing friction and extending boundaries. This vision has led him to found companies such as PayPal, SpaceX, Tesla, and Hyperloop. Our Perspective: Since the relationship between consumer and brand relies on a symbiotic understanding, referred to by Mr. Musk as "perception," the process for strengthening brand must happen organically, naturally evolving over time. Successful brands know that in order to do this, they must make consistency their best friend, followed closely by innovation and product-market fit. The Quote: Your brand is what other people say about you when you're not in the room. Who Are They: While he's best known for his role as founder and CEO of Amazon, Jeff Bezos' larger impact has come from disrupting the distribution model. Our Perspective: Brand strategy work will guide an organization on how to collectively act and align underneath a banner of beliefs, habits, and behaviors. Doing this important work helps brands to control perception. 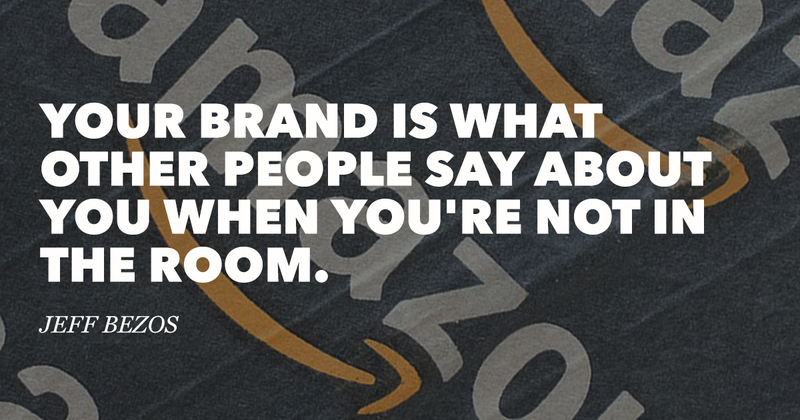 However, Jeff Bezos reminds us that branding is more than boardroom work. It is also a collection of real world consumer interactions with the brand, both good and bad. These experiences form lasting impressions in the minds of customers. This is the true acid test for any brand. 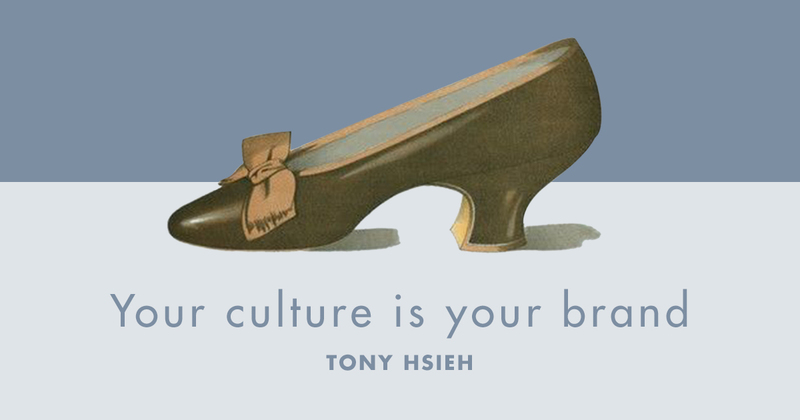 The Quote: Your culture is your brand. Who Are They: As the CEO of Zappos, Tony Hsieh grew their revenues from $1.6 million in 2000, to $1 billion by 2009. He recently broke his Twitter silence in order to retweet the Zappos April Fool's Day joke that he had been removed as CEO. Our Perspective: Culture is the set of beliefs that drive an organization's habits and behaviors. It's tangibly seen by how employees act and solve problems when delivering products and services. And, interestingly enough, it's this intrinsic culture which makes every company different and unique. This is why culture and brand are so closely related. 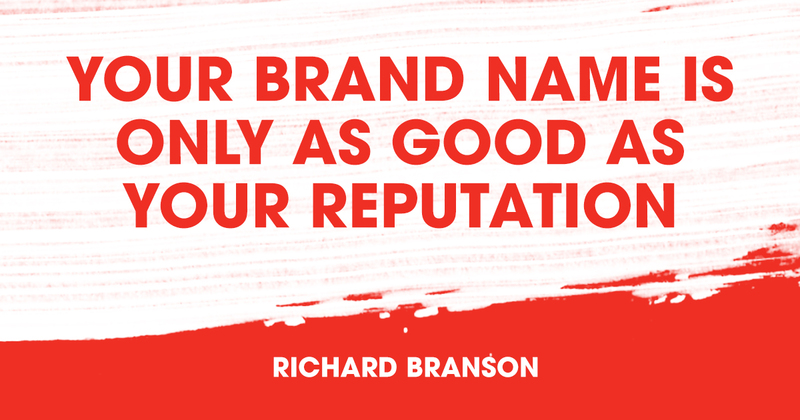 The Quote: Your brand name is only as good as your reputation. Who Are They: Diagnosed with dyslexia at a young age, his headmaster, Robert Drayson, told Branson he would either up in prison or become a millionaire. Thankfully, the later won out, as he founded Virgin Group, which now comprises more than 400 companies. Our Perspective: So true! The definition of reputation is, “the beliefs or opinions that are generally held about someone or something.” The best brands are aligned in their beliefs across their organization, which in turn helps them deliver on their promises to customers.